The National Academy of Medicine (NAM) has selected the University of Illinois at Chicago's Dima Qato to serve as its 2018 Fellow in Pharmacy. During her two-year term as a fellow, Qato will collaborate with researchers, policy experts and clinicians from across the country in support of the National Academies of Sciences, Engineering, and Medicine's mission to solve complex problems and inform public policy decisions related to science, technology and medicine. Qato, associate professor of pharmacy systems, policy and outcomes at the UIC College of Pharmacy, will help facilitate initiatives convened by the National Academies to provide nonpartisan, evidence-based guidance to national, state and local policymakers, academic leaders, health care administrators and the public. She will also work with a health- and medicine-related board of the National Academies. As a fellow, Qato joins an elite class of scholars who have been selected based on their professional qualifications, reputations as scholars, professional accomplishments, and the relevance of their work and expertise to the NAM and the Health and Medicine Division of the National Academies. Qato's research focuses on access and safe use of medications in vulnerable populations, including refugee and immigrant populations. She utilizes population-based methods to better understand the underlying mechanisms responsible for the use, underuse and unsafe use of medications; how these patterns may influence health outcomes and health disparities; and what can be done from a community and policy perspective to address these growing public health problems. Her work focuses on the growing prevalence and impact of pharmacy deserts; the increasing and widespread use of polypharmacy and potentially harmful drug-drug interactions among people of all ages, including teens and the elderly; and the systems-level transformation needed to combat these trends that have received significant attention from national news outlets, care providers and community-based advocacy groups. Qato, who joined the UIC College of Pharmacy in 2012, hopes her research and work with the NAM will provide the evidence needed for the creation and evaluation of potential public policies at local, state or federal levels. "My research is about ensuring people, regardless of where they live or who they are, have access to essential medicines. It's about understanding and improving the safe use of medications and making sure pharmacies are not ignored in the development and implementation of policies aimed at improving public health and reducing health disparities," Qato said. "It is an honor to have the opportunity to share this work and experience with the National Academy of Medicine and to benefit from the organization's support in further developing as a researcher and academic." Her goal is to promote public accountability in ensuring access to, and safe use of, medications at the national, state and local levels. In an effort to achieve this goal, Qato is interested in incorporating the role of pharmacies — including their accessibility, quality and safety — with the concept of "essential medicines" in payment and regulatory decision-making in ongoing health care reform. 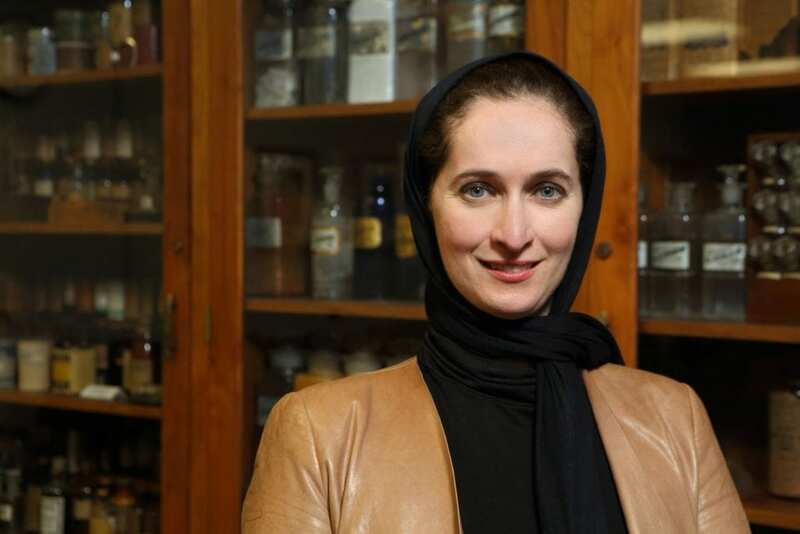 She earned a Doctor of Pharmacy degree from UIC, a master's degree in public health from the Johns Hopkins Bloomberg School of Public Health, and a Doctor of Philosophy degree from the UIC School of Public Health. Qato is one of only three fellows to join the NAM in 2018 and the only pharmacy fellow. Her selection was announced Oct. 15 during the NAM annual meeting in Washington, D.C.
"Through the hands-on experience provided by the NAM Fellowship program, fellows will examine health care challenges across a range of disciplines to help develop sound health policy advice, and also be able to build a network of mentors whom they can call upon throughout their careers," said Victor J. Dzau, National Academy of Medicine president in a statement. "I am pleased to welcome these exceptional health science scholars into the NAM Fellowship program." The NAM, established in 1970 as the Institute of Medicine, is an independent organization that works to address critical issues in health, medicine and related policy and inspire positive action across sectors. The NAM collaborates closely with its peer academies and other divisions within the National Academies of Sciences, Engineering, and Medicine, which operate under an 1863 congressional charter to the National Academy of Sciences, signed by President Lincoln. More information about the National Academies and the NAM Fellow in Pharmacy program is available online.